Bike4Care is currently in the process of rolling out to Kisumu West District (Kenya). The Community Strategy Focal Person and the Medical Officer of Health think the programme would be a great boost to the maternal and child health care. Also, Community Health Workers on bicycles will have a great impact HIV and AIDS mitigation as they would pass positive messages to the community to encourage behaviour change and curb new infections while at the same time help in tracking ARV and TB drug defaulters. CooP-Africa is currently fundraising for this Bike4Care project. 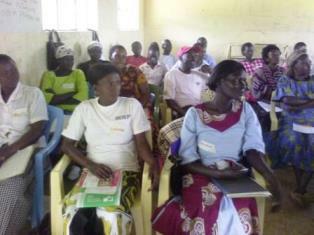 Support CooP-Africa in executing this project and helping hundreds of health workers in Kenya. No Comments to "New Bike4Care project Kenya in preparation"